Pillar wraps are a great way of turning large concrete pillars into an amazing advertising space. They create high overall impact and eye catching designs will increase brand awareness. Pillar wraps are often used in convention centres, for expos and for conferences, carrying through the overall branding of the event. They dress up a venue and can provide visitors with additional information or messaging you are wanting to get across. They are ideal for both indoor and outdoor applications. Our pillar wraps are printed on wrinkle-resistant, flame retardant material. They are easy to remove and do not cause any damage to the pillar. 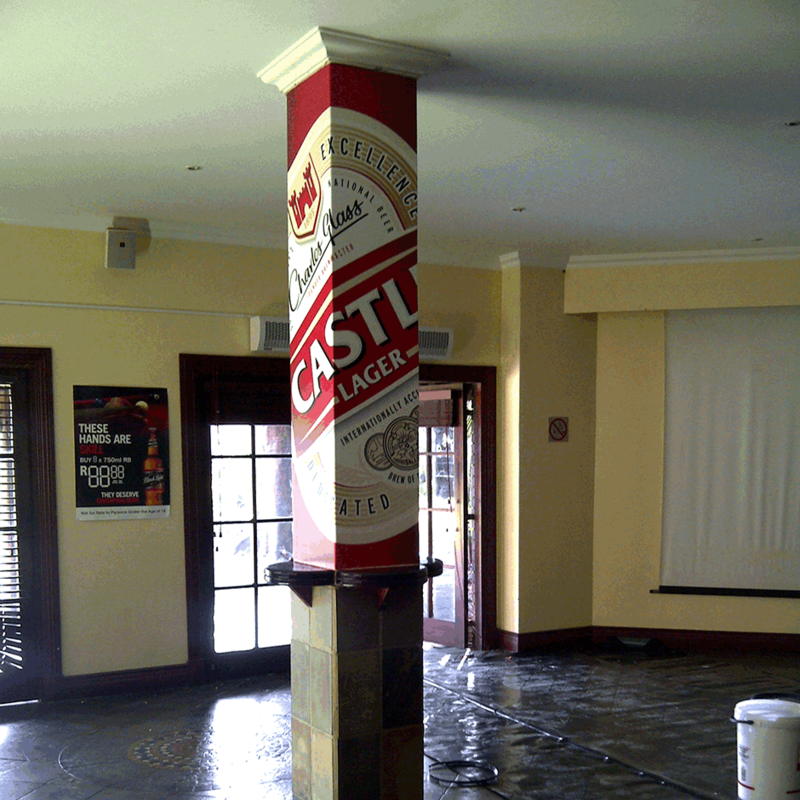 Our quality guarantee and assistance with the installation means your pillar wraps will be of the highest quality.